Everyone should have at least one betting exchange account, but it seems that some people find it easier to bet with a traditional bookie. The concept of back and lay betting is alien to some, but it needn’t be, and as I’ll explain in this article it really is quite simple. This is intended as a beginners guide, but I’ll also touch on the many advantages the exchanges have over bookmakers, and the opportunities they provide in your quest to make a profit from gambling. How does Betting Exchange Odds work? Betting Exchanges are basically the middle men in matching opposing views. If say you want to back Man Utd, and your friend wants to lay them. You can organize a bet between you in the pub, after agreeing on the price, and amount. A betting exchange is similar except you won’t know who you’re betting with, and it doesn’t have to be the same person who takes all of the other side of your bet. If your friend only wants to lay you Man Utd to lose €20, then you can’t get any more on. Not so on a betting exchange, your friend can still lay Man Utd to lose €20, but you can back them to win €1000 if you wish. What is a Matched Bet? Your bet is only on when it is ‘matched’. This means that someone has taken the opposite side of the bet. The market will move constantly and in effect you are haggling for a price, the same as you might when buying a car, the deal is only done when both parties come to an agreement. On a betting exchange the deal is done, when the price someone is willing to lay at, is the same as the price someone is willing to back at. 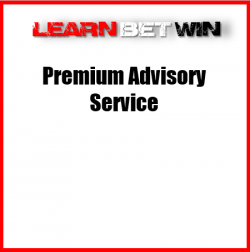 Commission – You pay the betting exchange sites for acting as the middle man. [adrotate banner=”16″] the base rate is 5% but that can be reduced to as low as 2%. You would need to be a heavy user to get that low. Betfair also have a controversial premium charge for very successful users, but most won’t have to worry about that, as you need to win quite a bit of money before it comes into effect. [adrotate banner=”17″] offer new accounts commission free for the first month with a maximum of 3% thereafter, while [adrotate banner=”42″] base commission rate ranges from 3% for soccer home/draw/away markets to 5% for markets with 5 or more entrants. The screenshot above is taken from the leading betting exchange Betfair. It shows 4 of the 15 runners in a win market for a race at Ballinrobe and was taken about 15 minutes before the off. The odds are in decimal form so the 2.74 you can back Spot Fine at is 1.74/1 or almost 7/4 in fractional form. Lets say you want to back Well Read Man and the best price available with your bookmaker is 5/1, or 6.0 (to make this easier I’m just going to use decimal odds from now on). You can get 6.6 on [adrotate banner=”16″], which even after a 5% commission, works out at 6.32. Currently there is only €12 available to bet at the 6.6 but that doesn’t mean you can’t have any more on, or even that you need to take the 6.6 price. If you look for €100 at 6.6, you will get €12 matched straight away and your other €88 will go into the lay side. Your bet will not be fully matched until someone else, or a combination of people lay all of that €88. If the price was to come in, then you can always adjust your price requirement downwards to ensure you are matched. Betfair also have a Betfair Sp and you can tick a box that ensures you get matched at SP if your bet wasn’t matched at the price you requested. This feature is useful for people that can’t access their bets during the day. Lets say you want to try to back Well Read Man at 7.0 for €100. Your bet will now go into the system, but you won’t have the bet, until somebody else matches it, by taking the opposite side of the bet. Before your bet is matched the people who are looking for 6.8 and the money that was in the market ahead of you at 7.0 will be matched first. It’s always first come first served. If there is €10,000 waiting to be matched at a price, and you had your €50 bet in first, then you will have your bet matched first. In this screenshot, I’ve taken a market from the second biggest betting exchange, [adrotate banner=”17″]. Now lets say you want to back Sir Lynx. You can take 6.4 for €11 if you want, but lets say you want 7.0 for €50. It’s not available at the moment but that doesn’t mean you shouldn’t look for it. The book percentage is 114.09% and you can use that as a guide to when you might get a bigger price. The nearer it is to 100% the less your likely to get bigger than the back price. Our bet at 7.0 will go into the system waiting for someone who wants to lay Sir Lynx. If however someone else puts in a back bet of €25 at 6.8 then they will get matched before us. Laying is the same as backing, in that the process is the same. You can only be matched if there is someone willing to take the opposite side of the bet. This time though your laying, and you want someone to back the horse. I should stress you don’t need it to be one person taking the opposite side, if you place a large bet it could be that by the time your fully matched dozens of different people have all laid a bit of it. When backing a horse for €100 you need to have €100 in your account to cover the bet, when laying a horse at 6.0 for €100, you need €500 in your account, because €500 is your liability if it loses. In the above screenshot you might decide you want to lay Captain Ocana at odds of 9.0 or less. You can currently lay him at 7.4, but that doesn’t mean you should just lay the 7.4. Like with back betting you should always try to get the best price, so maybe put the lay in at 6.8 which puts you first in line to be matched, as your now offering a bigger price than the current top price of 6.6. It may be that someone will now offer 7.0 when you go 6.8, you then have the option of going 7.2, but take your time, there’s no need to panic and keep jumping ahead of the other guy, especially if the race is some way off yet. Apart from being able to lay as well as back, exchanges offer place only markets. The place only markets in horse racing are an excellent way to back or oppose a horse. You no longer need to pick your horse and decide whether to back it to win or each way. You can now back it place only, or even lay a horse you don’t fancy for a place. Before exchanges came about if you didn’t fancy a horse your only way to oppose him was to try to pick one of the other horses to win. In play betting is another huge advantage of betting exchanges. It’s true bookies now offer in play betting as well, which is fine in events that last awhile like golf, but in horse racing the markets move so quickly its only really the betting exchanges that provide decent opportunities for betting in running. It should be noted that the pictures you see when watching horse racing are not quite live. ATR pictures can be as much as 7-8 seconds behind live, which is a long way in a horse race, and RUK are around 3 seconds behind live. There are many who profit from trading in sports markets on the exchanges. Trading is were you both back and lay the same horse, or team, at different times. The idea would be to back at one price and then lay the horse at a lower price. If say you see a horse at 2.5 that you think will go off odds on. You could have €200 at 2.5 and then put in to lay €250 at 2.0. If both bets are matched you will now have a risk free profit of €50, less any commission you have to pay. The commission you pay will always be on a market basis, which has the effect of lowering your base level for individual bets, when you’re having multiple bets in that market. Arbitrage Betting – What is it and can you make money from it? Arbitrage betting, or arbing is like trading, in that you take both sides of the bet, but unlike trading when you need to wait for the market to move in the direction you want before you can make a profit, an arb will be when both sides of the bet are available to take at the same time, and thus were as you can lose a trade if the market moves against you, you will only lose when arb betting if you can’t get on one side, having already taken the opposing side. An example would be a bookie offering 2/1 on a horse when you can lay that horse at 2.8 on Betfair. Even after paying commission on the lay you can make a guaranteed profit. Other examples would be in races were the each way terms suit the punter, if the win price with the bookies is the same as Betfair, you can sometimes lay both the win and place part at a much shorter price overall, and thus ensure a profit. It should be noted that bookmakers don’t like this type of activity and while its perfectly legal, you’ll find your account restricted if you only bet in such situations. In forming your betting strategies I believe you have far more options to profit when you also use the betting exchanges. If you know a certain trainer has a terrible record with horses at a certain track, that knowledge is of more benefit when you can lay his runners, rather than having to study the race to try pick a good back bet. Apart from offering more options, you will generally get a better price on a betting exchange, especially on horse racing. It won’t always be the case and its true that early in the morning the betting markets are quite weak in liquidity, which effects the amount of money you can get on. Liquidity is the amount of money in the market. Early in the morning the prices won’t be as competitive as later on, and the money you can get on will be less too. That is if you take the available price though. In markets with a big gap between the back and lay price you should normally try getting a bigger price than the best available. You can access the betting exchanges and place your bets through the normal web interface, most also have their own mobile apps, but for the more technical among you, a betting bot will help you gain an advantage over other users. Betfair have their own Betting Exchange Software Directory and the options range from bots that will place your bet just before the off, depending on the price requirements you enter, to software that will drip feed bets into a market. Drip Feeding is important when you want to get a bet on that’s much bigger than the money currently being traded. If you try to place a €1000 bet on a horse when the market is only trading in tenners, then your bet will act as a blocking bet, and it’s unlikely to get laid unless the price is very poor, and thus you could have got better. The exchanges offer a multitude of ways to turn a profit and you should have accounts with at least one of them, as well as having accounts with all the major bookmakers. To make money gambling you need to be able to avail of every good opportunity you spot, be that with a traditional bookie or on a betting exchange. We are lucky that we have so many ways to bet, just think that some countries only have a tote system, with no online gambling. The competition is great between bookies and there really is no excuse to just use the one. Sign up to all the major bookmakers and the exchanges and make sure you avail of the free bets they offer new customers too. I really can’t stress enough that getting the best price is vital in gambling, no matter whether your betting for fun or betting for a living.